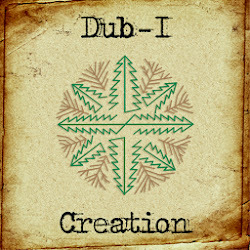 Dubophonic is proud to to have Dub-I's "Creation" as the first release on the netlabel. The name of his album symbolizes not only the birth of our new netlabel, but also the birth of a new sound. His album "Creation", released only in digital format, aims to lead all sound-travelers to adventurous dub journeys of experimental ambiance. 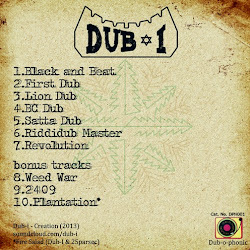 Dub-I's special vision on dub music is to fill the heart of each and every one of us with with love and peace, through the earthly vibrations and the deep musicality of his tracks. The ten tracks, of which four are just over two minutes long, are different than the conventional style of dub, as we know it today. Nevertheless we are proud of his innovations .... dub is all about experimenting!